Figure 18 Chronic PE: paddlewheel reformation. (A) From a sagittal reformation, 10-mm slice thickness rotational MIP are obtained centered about the right hilum at 4.6° increments . (B) Axial oblique MIP image depicts a linear web in the medial segmental artery of right middle lobe (white arrow) and right lower pulmonary artery (black arrow) due to CPTE. 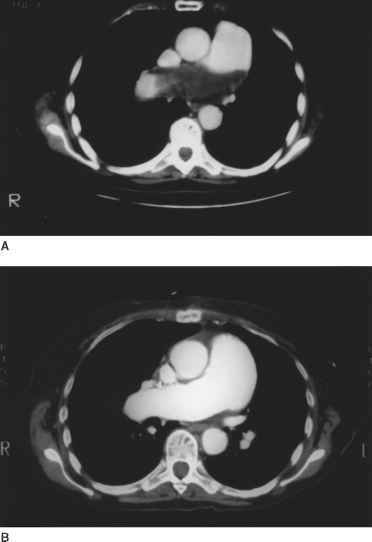 Figure 19 Chronic PE. (A) Large chronic PE in main PA and RPA. (B) After throm-boendarterectomy, there is residual mild wall thickening of the dorsal wall of the right PA. Figure 20 Mosaic perfusion of CPTE. 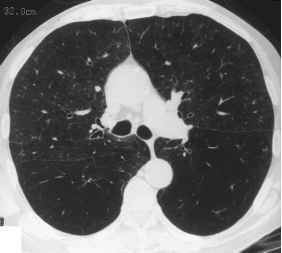 (A) Marked variation in attenuation of lung parenchyma and disparity in sizes of segmental vessels at the level of the lower lobes. 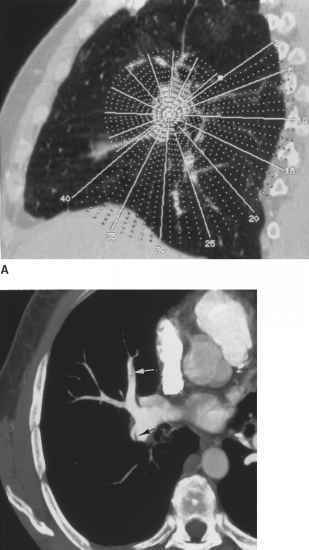 (B) Marked improvement in mosaic pattern compared to preoperative CT.
abnormalities in 75 patients with CPTE, 58 patients (77.3%) showed mosaic perfusion with normal or dilated pulmonary arteries in areas of relatively increased attenuation . 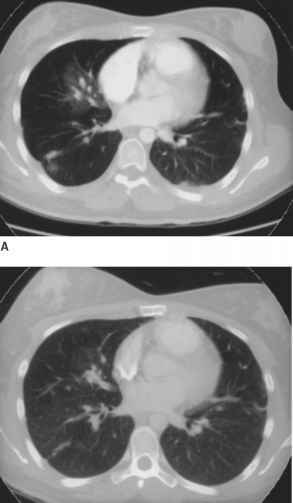 Residual scars from prior pulmonary infarction and cylindrical bronchiectasis are common [46,47].